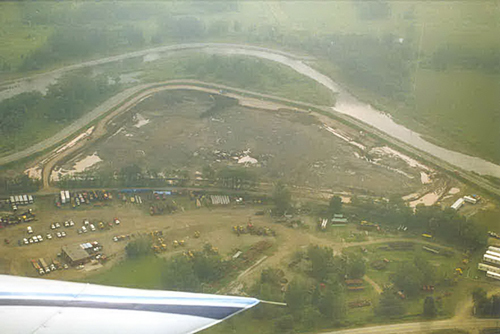 Geo-Solutions was the general contractor for the closure of an old refinery landfill located adjacent to the Genesee River in Wellsville, New York. 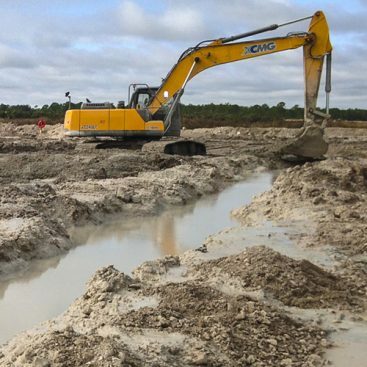 Project work included excavation of satellite waste, stabilization of waste in the landfill, construction of a soil-bentonite slurry wall around the site and construction of a RCRA cap covering the entire site. Construction of a synthetic underliner which keyed into the slurry wall and the RCRA cap. Technical requirements for the slurry wall specified a permeability of less than 1×10-7 cm/sec. Vegetative cover completed the cap. A full-time health and safety officer (HSO) was onsite providing technical and administrative support with respect to health and safety and industrial hygiene. 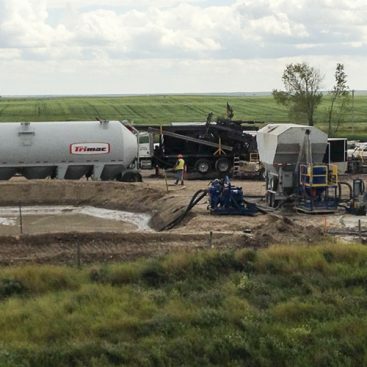 This consisted of site safety audits, Health and Safety Program implementation, and real-time air monitoring. 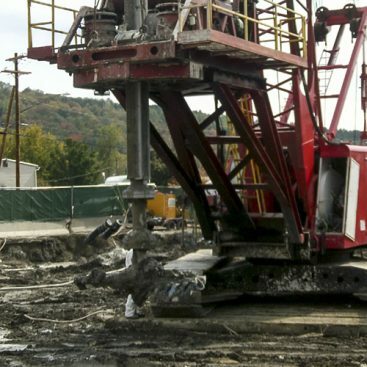 The contaminants of concern on this project consisted of aromatic hydrocarbons (benzene, ethylbenzene, toluene, and xylene), polynuclear aromatic hydrocarbons (PAHs) (naphthalene), and metals (lead and arsenic). Real-time air monitoring consisted of a utilizing a photoionization detector for volatile organics, total dust monitoring utilizing a PDM3, combustible gas indicator, oxygen monitor, radiaiton meter, and colorimetric evaluation. Personnel time-weighted average (TWA) air sampling was performed for aromatic hydrocarbons and the two metals. Meteorological data was tracked daily via the local weather station.